Back when skincare products were non existent, water was the only thing used to clean everything. No Parabens, harsh chemicals etc, best part is - it was free! Invention of chemical peels, anti-ageing products, and more took a big leap during 20th and 21st century due to its fast solution for any skin problems. In reality, we are putting more harm into our skin without even realizing. Don't get me wrong, I love a good "quick fix" but sometimes it is best to embrace the natural way possible. - Rinse free cleansing. With the help of cotton pads, the most stubborn waterproof eye makeup comes off easily! - Because it is basically water, it is very gentle on the skin. It is also great for all skin types. I decided to try two products up for trial solely in this post. 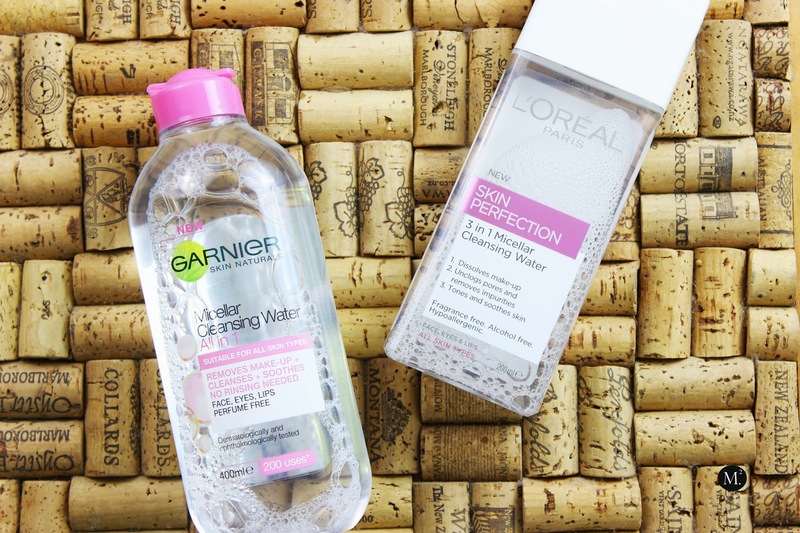 Thought it would be fun to see if different brands do their own version of the micellar water, but turns out they work exactly the same. To test it, I used Loreal Paris Micellar Cleansing Water on the right side of my face, and Garnier Micellar Cleansing Water on the left. Both with only one cotton pad, and I must say both are pretty even! My makeup? 97% wiped off! I could go over it a few times to get it squeaky clean but other than that, I'm overly impressed! My skin felt extra clean and fresh! I do wear a lot of mascara, and it pretty well in melting it away. Both of these cleansing waters can be found at Farmers and retails for under $20 NZD! Such a good steal and definitely worth it! On days where I feel extremely exhausted and lazy, I would stick with just this and follow it up with moisturizer/ serum, eye cream. It works just as great as to washing your face and I love that it is rinse free! 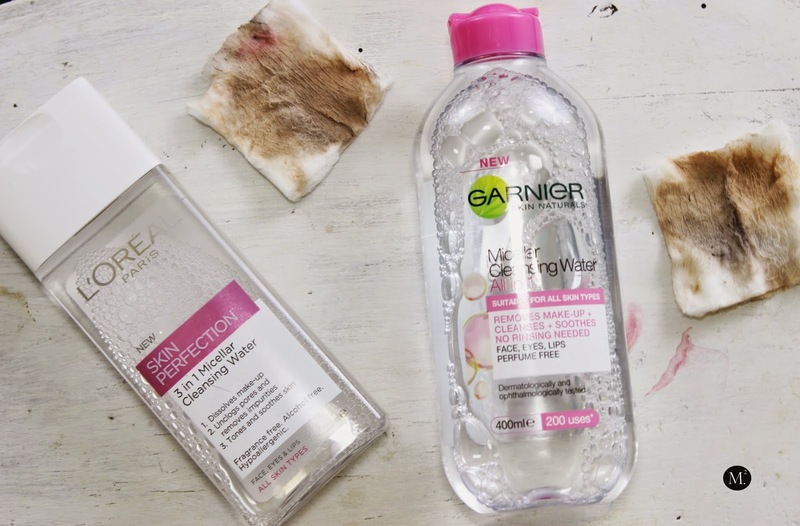 PS: If you are interested in wanting to know more brands that came out with micellar cleansing water or further details, here's an article I read from Marie Claire UK online magazine in this link. Hello Carmela, I've tried different micellar waters but not Garnier's yet. You are a beauty with or without makeup! Check out my blog some time!